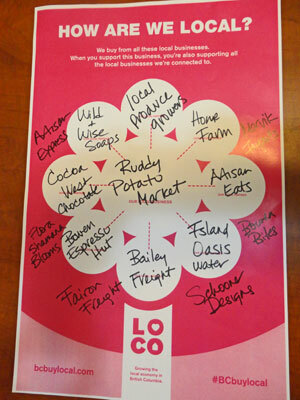 When you buy local, you have a big impact and reach in your community. The Bowen Island Economic Development Committee has teamed up with bcbuylocal.com to help promote understanding and awareness of the importance of local shopping to local economies. We sure appreciate their support! Here is the poster they gave us to show some of our local connections.